Holidays are one of those few moments in our working lives when we can get a chance to unwind and relax – times when we enjoy the fruits of our labour and spend quality time with our families and loved ones. But what better way to celebrate the festive times than a visit to a really beautiful city like London? And while you’re at it, why not try to get a suite in one of those luxurious holiday apartments in London? Rest assured that it will all be worth your time and money. More importantly, you will be giving your family a one of a kind experience they can never ever forget. UK provides one of the best apartment services this side of the planet. The rooms of these apartments are spacious and elegantly designed, filled with numerous amenities that can make your stay so much more worthwhile. An excellent way to celebrate your holidays especially if you’re a little concerned about the expenses. You see, the vacation rentals in London usually come with small special offers including discounted prices and free services, but if you happen to get a booking in a certain month of the year, then you may be qualified to avail even more convenient promos. There are many popular serviced apartments in Kensington and other parts of London, one just only needs to look around and look well. In the month of February, for example, there is Valentine’s Day offer, which treats a customer to a fine dining experience, complete with chocolate and wine, in the comfort of their own rooms. In the first month of the year, visitors are treated to a month-long sale of selected items. You can get discounts and get better rates at certain times of the year too. 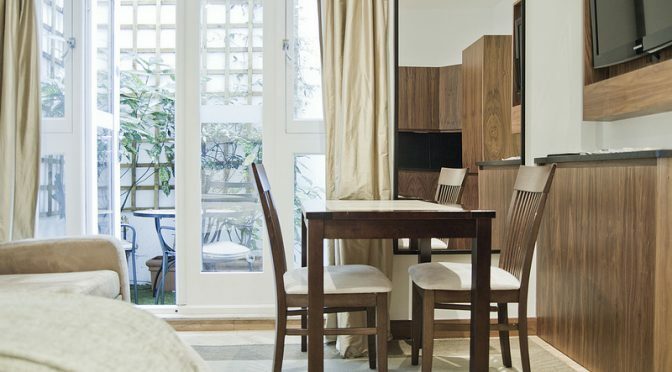 All these, along with outstanding facilities and services at one of the best serviced apartments in Central London, can make any vacation getaway a very memorable experience for you and your loved ones.